DUSHANBE -- The presidents of the five Central Asian countries are planning to meet for a landmark summit in Astana during the Nowruz holiday in March, according to a source in the Tajik government, AsiaPlus.tj reported Thursday (January 25). The summit will help boost co-operation among Central Asian states and promote joint programmes and projects to meet "the long-term interests of all countries of the region", the source said. Kazakhstani Foreign Minister Kairat Abdrakhmanov last October proposed having Astana host a Central Asian summit. This year will be a turning point for Central Asia in regards to expanding regional co-operation, say analysts. "[Co-operation among Central Asian countries] will develop mainly in bilateral and trilateral formats," said Erlan Karin, director of the Kazakhstan Institute for Strategic Studies. Kazakhstan might be vying to lead regional integration by hosting the summit, say some analysts. However, others point out that Uzbekistan has a geographic advantage over Kazakhstan because Uzbekistan borders all four other Central Asian states and Afghanistan. 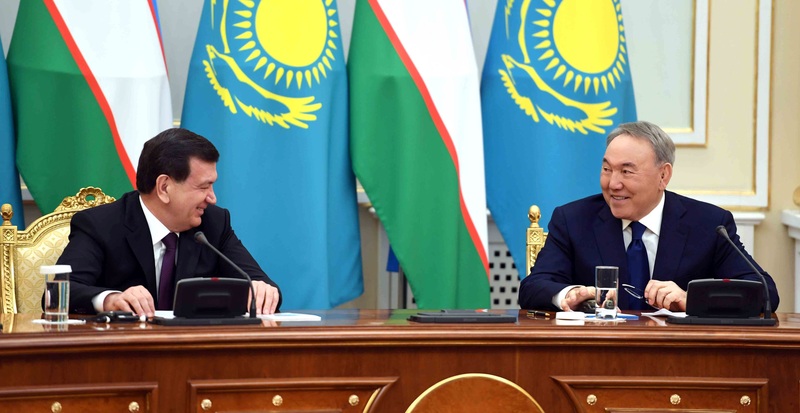 At a regional security conference last year in Samarkand, Uzbekistani President Shavkat Mirziyoyev voiced his support for Kazakhstani counterpart Nursultan Nazarbayev's efforts to develop closer co-operation with neighbours. During a presidential summit in Astana, the countries' officials signed seven documents on strategic partnership.